The world of independent game design has been growing exponentially over the last five years. The implementation of Xbox Live Marketplace and the Playstation Network have made the distribution of these games much more user friendly and thus easier for indie game developers to actually make money from their games without having to worry about how they will distribute the games to stores. When Braid was released in 2008 it was a game changer. One of the highest rated games ever on Xbox Live Marketplace, Braid was a giant financial and critical success and opened the doors wide for many others to follow. Indie Game: The Movie follows three games and the creators behind them: Jonathan Blow, creator of Braid; Tommy Refenes and Edmund McMillen are the creators of Super Meat Boy and we join them through the saga to finish the game and distribute it to the masses; lastly, Phil Fish the long suffering developer of Fez, a game first announced in 2008 that has lingered in development hell. Phil has lost a partner, gone through multiple programmers and a tidal wave of negativity over the non-release of the game. Blow became so obsessed with protecting the “integrity” of his game that he would pop up almost instantaneously whenever anybody commented about the game online. This earned him the reputation of being a megalomaniac, but during the personal interviews he comes off much less intense. We meet Tommy and Edmund months before the launch of Super Meat Boy and they continue to pour over code and perfect their game. Edmund’s long suffering wife Danielle’s only desire after they become rich is for a hairless cat, it’s clear she keeps Edmund grounded during the tough times. Tommy still lives with his parents and uses them for support. Disaster almost strikes as launch day sees the game missing from Xbox Live for hours. But this is only a small hiccup. And then there’s Phil, who finally finishes enough of Fez to demo it at one of the biggest game expos, PAX 2011. But as he arrives he has to make a life altering decision – oh and the game starts malfunctioning of course. Indie Game is a success due to the subjects it follows. Blow comes off as guarded because of the wash of negativity he’s already dealt with. He’s fast at work developing the sequel for Braid. Edmund and Tommy are the loveable geeks still living out their lives in basements in front of their computers. 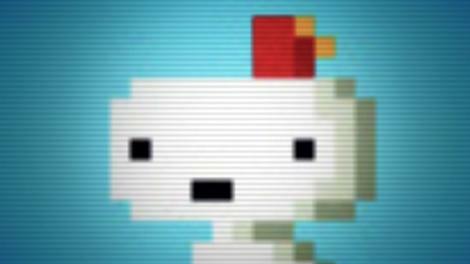 We revel in their happiness as Super Meat Boy becomes the best-selling indie game of all time. And yes, Danielle gets her cat – two of them in fact. Phil is the most intriguing of them all as we see his struggles and turmoil as he desperately wants to finish Fez and not be the guy who promises yet never delivers the game. Watching him deal with the constant highs and lows of PAX is mesmerizing, and the fact that the film leaves Phil’s situation unfinished leaves you anxious to discover the ending for yourself. A very accomplished documentary, Indie Game: The Movie is a strong recommend. It starts a theatrical run at the TIFF Bell Lightbox on May 25th. You won’t be disappointed if you decide to check it out. Make sure to keep up with all the goings on at Entertainment Maven by liking our Facebook page and having updates deliver right to your Facebook News Feed. It’s the only way to stay on top of all of our articles, including the last of our Hot Docs 2012 coverage.